President Donald J. Trump tonight unveiled an expansive new strategy for South Asia aimed at bolstering American security. The new strategy encompasses Afghanistan, Pakistan, India, the Central Asian nations and extends into Southeast Asia. He stressed the strategy will not have artificial timelines built into it. Trump spoke before a crowd of hundreds of service members at Conmy Hall at Joint Base Myer-Henderson Hall in Virginia. 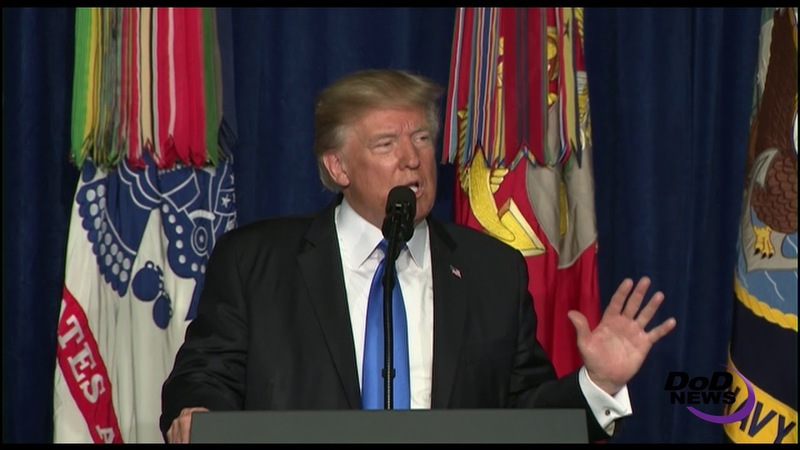 Trump said the American people are frustrated by the nation’s longest war in Afghanistan, calling it a war without victory. The new strategy, he said, is a path toward victory and will step away from a policy of nation building. The new strategy, Trump said, is a result of a study he ordered immediately after he was inaugurated in January. The strategy is based on three precepts. Trump said the second precept is that a hasty exit from Afghanistan would simply allow terrorists to flood back into that country and begin planning attacks on America and its allies and partners. The third precept, he said, concerns the threats emanating from the region, which are immense and must be confronted. The United States and its allies and partners are committed to defeating these terrorist groups, Trump said. 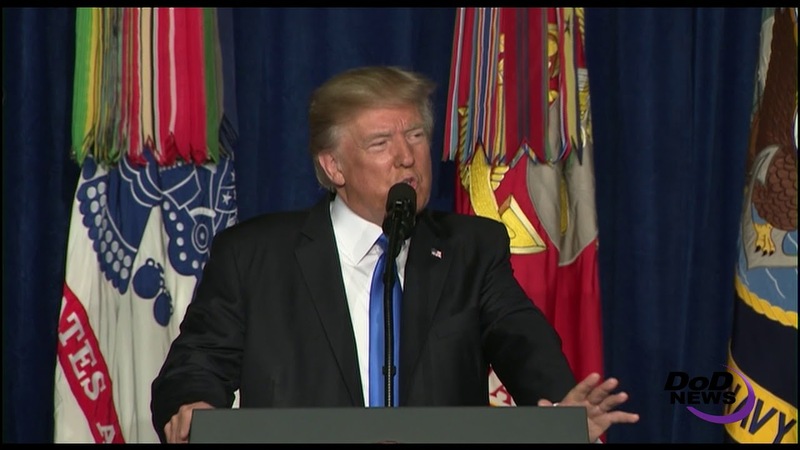 In Afghanistan and Pakistan, the United States will work to stop the resurgence of safe havens that enable terrorists to threaten America, Trump said. “And we must prevent nuclear weapons and materials from coming into the hands of terrorists and being used against us, or anywhere in the world, for that matter,” he added. Trump said the new strategy will involve all aspects of American power, employing diplomacy, economic might, intelligence and military power to advance American interests and ensure the safety of the homeland and American allies and partners. The United States, he added, will continue to support the Afghan government and its military. Trump said Pakistan is a major concern, and he said Pakistan must stop providing safe havens for terrorists who rest and refit for actions in Afghanistan and elsewhere. Trump noted that Pakistan has worked with the United States in the past, but the nation’s policies must change. Trump said India will be a key component in any strategy in the region, and the president wants to work with India’s leaders to provide more economic assistance and targeted development to the people of Afghanistan. “We are committed to pursuing our shared objectives for peace and security in South Asia and the broader Indo-Pacific region,” he said. The president described what he believes victory will look like. “From now on, victory will have a clear definition: Attacking our enemies, obliterating ISIS, crushing al-Qaida, preventing the Taliban from taking over Afghanistan, and stopping mass terror attacks against America before they emerge,” he said. NATO allies and global partners like Australia will support the new strategy and have already pledged additional troops and funding increases, the president said. The president concluded his speech speaking directly to service members in the hall and around the world.